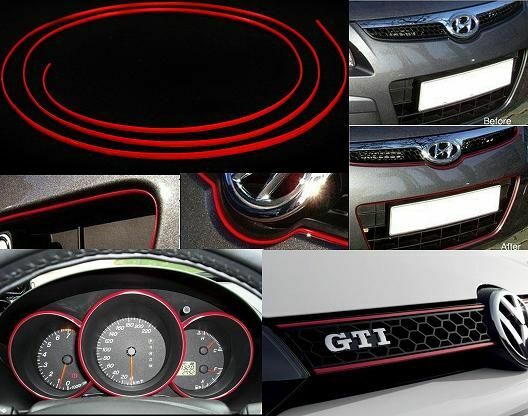 This trim molding strip can be used on both interior or exterior areas of your vehicle. Some common areas of application are listed below. Interior applications: speakers, door handles, stereos, radios, center consoles, and steering wheels. Exterior applications: Grille trim, headlight trim, taillight trim, Pillar posts, hoods, and around windows. The 3M adhesive will NOT leave residual glue residue on your vehicle. The installation and removal of the trim is quick and easy.